The drive axle assembly is one of the most crucial components of any vehicle. Without an axle, your vehicle will not be able to move at all. If you’re like most curious drivers, you’re probably wondering what happens if your axle breaks while driving, or how long can you drive on a bad CV axle. Constant velocity (CV) axles are considered to be drive axles, as they transfer power from the vehicle’s transmission and differential to the wheels. With that said, it’s fairly common to hear about issues surrounding the CV axle shaft and CV joint axle. The axle joint within the CV axle assembly requires proper lubrication in order to function efficiently. While in motion, these greased joints provide flexibility to the drive axle and allow it to flex according to the road conditions. 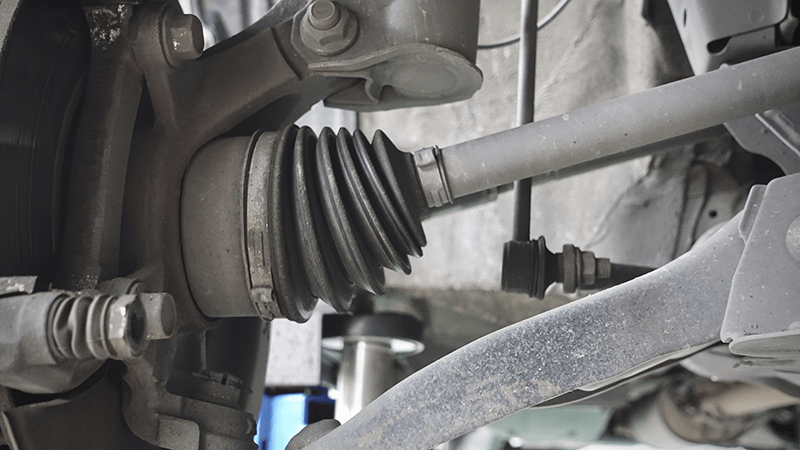 If your axle joints are not lubricated as they should, it’s likely that the axle will be exposed to high levels of stress and friction; thus, the drive axle will have a higher chance of breaking. Worried Your Alternator May Break Soon? You’ll Be Covered With DriveSmart. The joints within the axle assembly are covered by a rubber boot, which is commonly referred to as a drive axle boot. These boots protect the lubricated joint from dirt or debris from entering it and sticking to it. These boots have a limited lifespan and become worn out as they are constantly exposed to high levels of stress and friction during normal operation. Most engineers design and build their cars and the axles that go along with them to be able to withstand thousands of pounds (with the help of the suspension) and operate while being exposed to high levels of stress and friction. However, no drive axle is invincible and will inevitably break if too much weight is placed on top of it. Each vehicle will vary in regard to the amount of weight they are able to withstand. The majority of average cars can withstand a load of around 850 pounds (385 kilograms), while industrial trucks can carry more depending on the model of the vehicle. The easiest way to determine the weight carry limit of your vehicle is to either refer to the vehicle’s manual or reach out to the manufacturer via the Internet or by phone. Both the manual and the manufacturer will have accurate information according to your vehicle’s model. If you do not have access to the manual and are unable to contact the manufacturer, look inside of the driver door (sometimes the passenger door) and locate a sticker that lists your vehicle’s tire pressures and gross vehicle weight rating (GVWR). There should be a number along with this data that states the vehicle’s safe working load. If your vehicle does not have the safe working load listed, find out the curb weight (how much it weighs without any passengers or baggage) of your vehicle. Subtract the GVWR by the curb weight. The result will be the total amount of weight you will be able to safely load into your vehicle. While it’s important to understand the issues that drive axles face, it’s arguably more important to be able to recognize the symptoms of a failing drive axle. Failing to catch a drive axle on its way out can be extremely consequential. You’ve probably heard a drive axle click while turning, as this is the most common symptom of a failing drive axle. The clicking typically occurs after the axle’s joints have become worn out. Listen closely to which side of your vehicle the sound is coming from in order to determine if the issue lies with the front drive axle or the rear drive axle. As discussed earlier, the axle’s lubricated joints are covered with rubber boots that protect both the joint and its lubricant. You will most likely notice leaking grease on and around your tires if your rubber boots are wearing out or coming loose. If your axle shaft or CV joint is going bad, it will not be able to balance efficiently while in motion. As a result, your car will vibrate as you drive and can increase along with your vehicle’s speed. Once the vehicle begins vibrating, this is typically the ultimate sign that your axle will need to be replaced rather than repaired. A failing drive axle is something that should not be “put off for tomorrow” and should be dealt with as soon as the issue is discovered. Many drivers make the mistake of continuing to drive on a failing drive axle as technically the car is still able to operate. However, if your drive axle breaks while driving, it’s likely that you will end up in a serious accident. Treating a failing drive axle comes with financial benefits as well. If caught early, components such as the axle boots can be replaced immediately, and you can extend the life of your drive axle overall. This will decrease the chance of a more serious issue developing as a result of operating the axle in the early stages of malfunction. Depending on the severity of the issues your drive axle is facing and the model of your vehicle, the price of repairing or replacing a broken drive axle significantly varies. 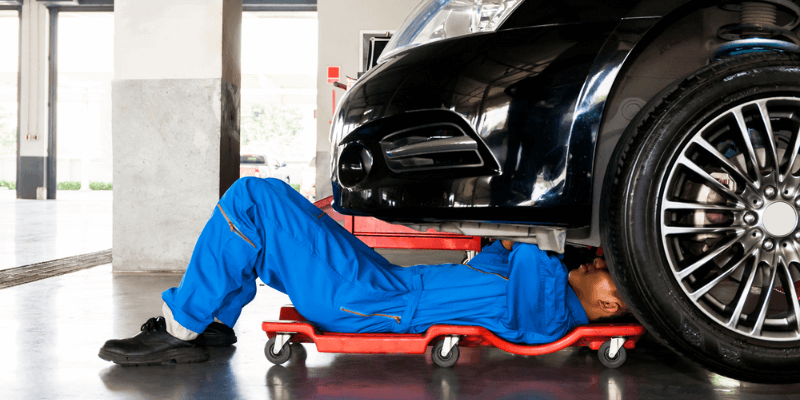 For example, it may be that your vehicle requires a single joint replacement, a double joint replacement, or an entire front wheel drive axle replacement. Axle replacements can be extremely difficult for the average driver, so it is strongly recommended that you bring your vehicle to a certified mechanic who will be able to properly diagnose the issue and provide you with a safe and efficient solution. Before it comes time to pay the mechanic for the repair bill, look into a drivetrain warranty.